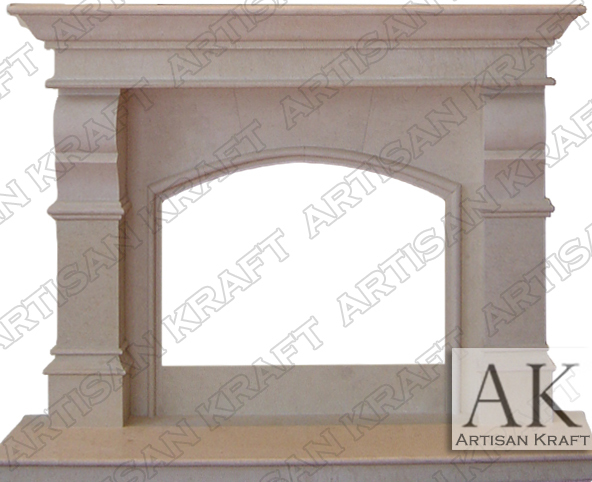 Metropolis marble fireplace in a creamy beige color. Arched opening above the firebox. Similar to the Winnetka style but the corbels have a trim one them.